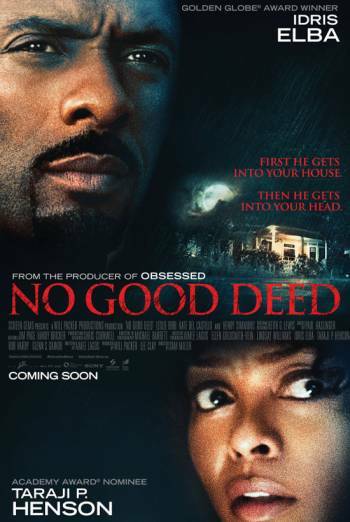 NO GOOD DEED is a thriller about an escaped convict who holds a mother and two children hostage while on the run. There are sustained sequences of strong threat as the central character menaces his victim and threatens her with a gun and a knife. There is also a scene of sexual threat although this does not progress beyond the threat. There is strong violence, including sight of a woman being killed with a shovel, men being shot and killed, and stabbings and blows to the head with various household items. There are two uses of strong language ('f**k').